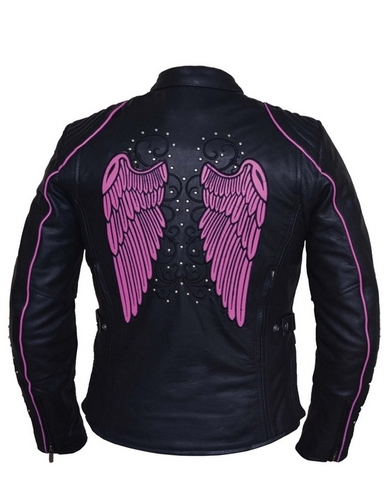 Click here to see the latest ladies cowhide leather jacket today! Good Tuesday morning all, its that time again for me to showcase another lovely ladies leather motorcycle jacket. 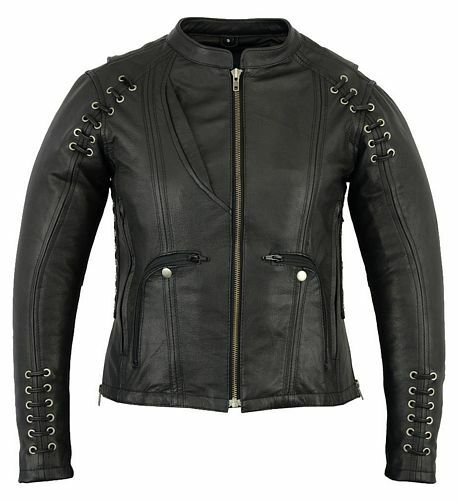 This leather jacket is a very high quality jacket that I have just got in and it is really beautifully put together. I’ve had a few women who liked a men’s leather jacket and wanted to know if they could get it in a women’s Leather jacket style. When I said I did not they asked if the men’s jacket would fit them. The short answer is yes, but they would not fit good. 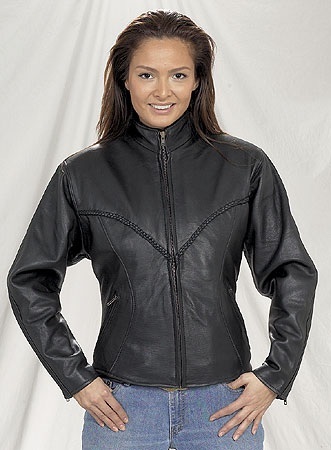 When it comes to a women’s Leather jacket there are several different areas that are different than a mens. The two biggest differences are the arm length and torso. You can have a man and woman stand side by side and be equal in height, but a jacket would not fit the same. Men have longer torso’s than a woman, as well as arms in general. Now that fall is here and the weather is cooler, you might be thinking about buying your wife or girlfriend a nice leather coat or jacket. Or your a woman and wants to get one for herself. But you might be confused with all the different styles and colors there are out there. So here’s a few tips for you to get a quality women’s leather jacket or coat. Many think that a leather jacket will not keep you very warm. That’s because of so many fake leather and junk leather coats out there today. I had a girl here in Florida that got a great looking leather jacket from a well known brand. But even here in Florida in the winter she would freeze with that on! A quality, real leather coat or jacket with a liner is very, very warm. So first make sure it’s REAL leather. Most coats and jackets today are fake leather, leather-like, synthetic leather (which is fake leather) and so on. A real leather jacket will have a tag on it stating it’s made from real leather. A QUALITY leather jacket or coat will say what kind of leather it is, and maybe even the thickness.